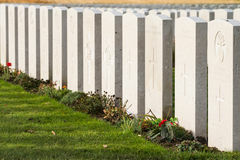 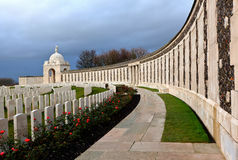 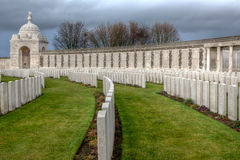 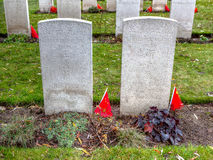 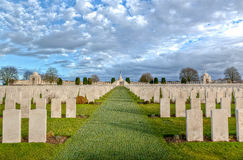 Graves of WWI soldiers at Tyne Cot, Flanders Fields. 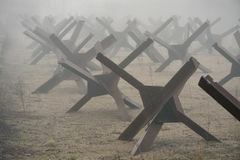 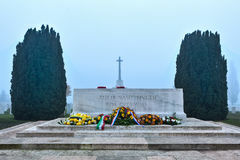 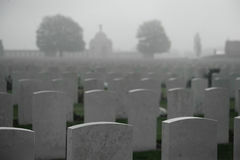 Graves of soldiers fallen in World War I at Tyne Cot cemetery, near Ypres in Flanders Fields, Belgium, on a misty day in autumn. 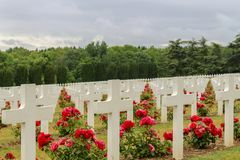 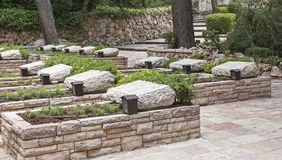 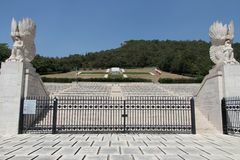 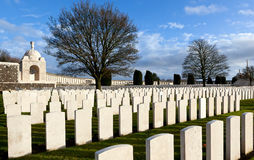 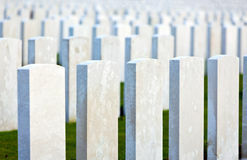 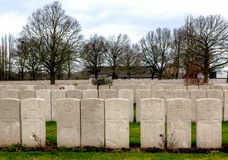 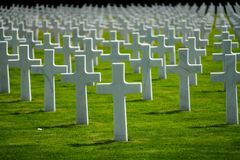 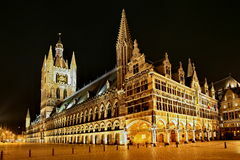 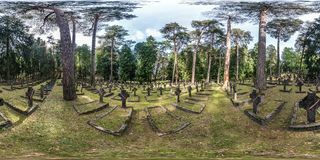 The white marble headstones are standing in the green grass. 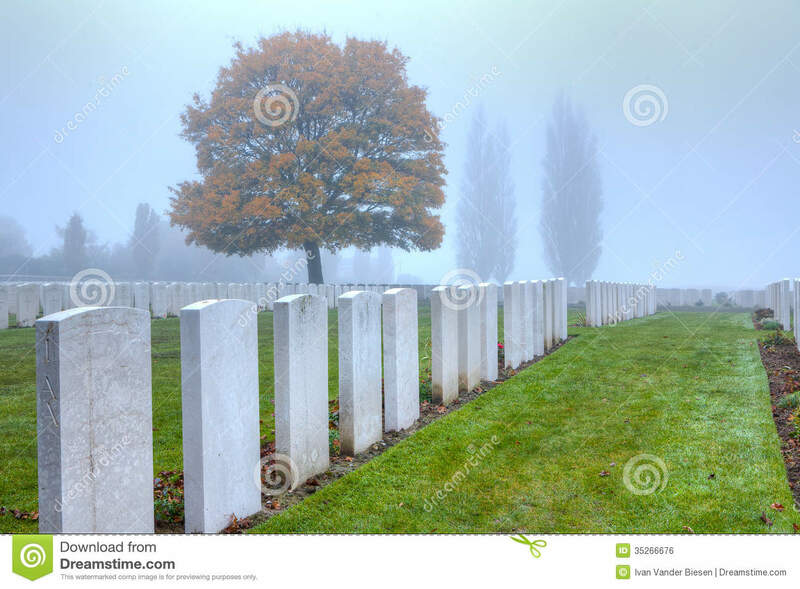 In the fog you see the yellow leaves and contours of the trees.